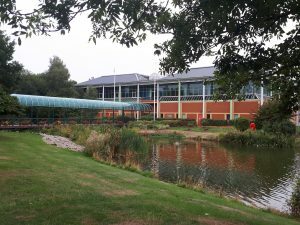 The Third International Conference on Geographies of Education (GoE III) was held at Holywell Park Conference Centre at Loughborough University (LU) on 3-5 September 2018. 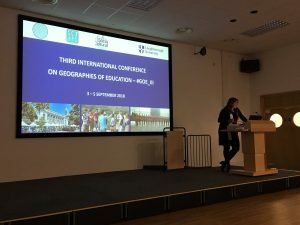 Organised by Geography & Environment in the School of Social Sciences at LU under the leadership of Dr Heike Jöns, this conference built upon the first two International Conferences on Geographies of Education hosted at LU in 2009 and 2011 (Image 1). GoE III was attended by more than 50 delegates from twelve countries working in human geography, education, sociology, architecture and Asian studies. 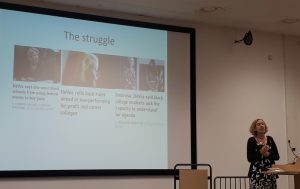 The four keynote lectures and 40 conference papers confirmed the international vibrancy of new geographies of education and learning that have been considerably shaped by research from human geographers at LU. Professor Katharyne Mitchell (Image 2) delivered a keynote lecture on Education and public scholarship: intersections of theory, policy & practice that reflected in an engaging and refreshingly critical way both on the challenges that education policy presently faces in the United States and her own positionality as a critical scholar serving now as the Dean of Social Sciences in the University of California, Santa Cruz. GoE III provided a welcome opportunity to showcase research conducted by PhD students, postdocs and academics in Geography & Environment at LU to a diverse international and interdisciplinary audience and to continue important debates and exchanges with promising impacts on future research, policy and networking (Images 3-6). The conference was generously co-funded by the Fritz Thyssen Foundation as part of Dr Jöns’ research grants on the historical geographies of the university and supported by three research groups of the Royal Geographical Society with the Institute of British Geographers (RGS-IBG) – the Population Geography Research Group (PGRG), the Geographies of Children, Youth and Families Research Group (GCYFRG) and the Social and Cultural Geography Research Group (SCGRG). 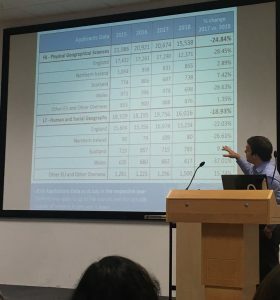 This support by the Thyssen Foundation and the RGS-IBG research groups enabled the hosting of GoE III at Holywell Park Conference Centre (Image 7), the delivery of four keynote lectures over three days, as well as the attendance of four PhD students from Edinburgh, Leeds, London and Edge Hill, thereby helping to disseminate and nourish early career scholarship in the field. For a copy of the conference programme, please click here. 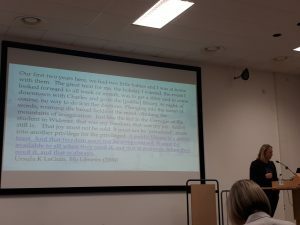 Image 1 Opening of the conference by Heike Jöns, Loughborough University. Source: Sarah Holloway. Image 2 Katharine Mitchell, UC Santa Cruz. Source: Matt Finn. Image 3 Jo Norcup, University of Glasgow. Source: Matt Finn. 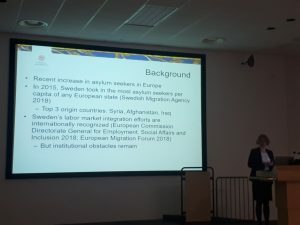 Image 4 Micheline van Riemsdijk, Uppsala University. Source: Matt Finn. 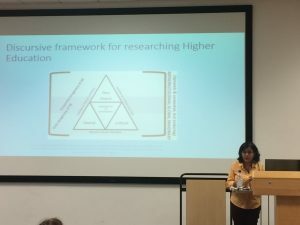 Image 5 Parvati Raghuram, Open University. Source: Hanne Adriansen. Image 6 Matt Finn, University of Exeter. Source: Mette Bruinsma. Image 7 Holywell Park Conference Centre, Loughborough University. Source: Matt Finn.